Why did Kelvin & Val come to us? Kelvin had worked as a lorry driver for the majority of his life and Val works as an administrator in a local bakery. Whilst Val was happy in her work, Kelvin wasn’t. He had stopped enjoying his job and the thought of working until he was 65 wasn’t appealing. Kelvin had done the right thing and saved into pensions throughout his working life. Although, it’s fair to say, he had done so without ever really understanding how they worked, or the income they would give him in retirement. That lack of knowledge meant he assumed he couldn’t stop work until his State Pension kicked in at 65. We worked through the EVOKE process with Kelvin and Val and showed them that Kelvin could in fact retire immediately, with no negative financial implications either now, or in the future. As a result of our planning, and of course Kelvin’s common sense in saving for his future, he was able to retire much earlier than he had imagined. What has changed in Kelvin and Val’s life? They are both very happy. 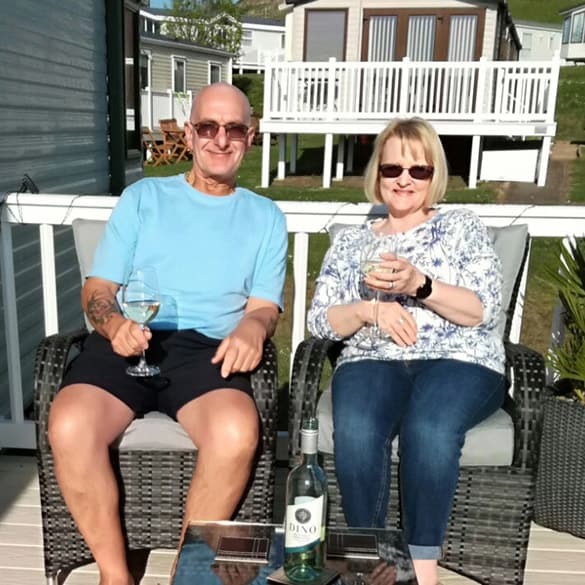 Although Val continues to work, Kelvin now plays more golf and they get to visit their caravan in Somerset more often than previously. They also get to see more of their daughter and grandchildren too, who live in the North East, spending far longer periods together, than was possible when Kelvin was working.